Online creator of Multi-media Biz Branding. 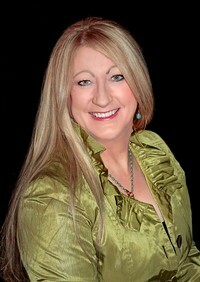 Social media strategist and technology expert for the Art of Biz and Moksha for Real People at JillyJessonSmyth.co. Helping entrepreneurs keep their money with savvy strategy and smarts. Interviewing courageous business women making a difference. We had several extremely fascinating ladies attend this fun Spring Miniature show to launch the summer in Tucson! A blast was had by all, the stories that Mary told about the advertising and art scene in New York and Manhattan had us laughing!! A very good thing. Diana, as usual, is a completely lovely, beautiful woman and fabulous, generous and talented artist. The tremendous team working with her created a successful event. The Opening June Reception for the Platform Galleries, Dada and 6th on Sixth space was inspiring! It was really a joy to converse with all the artists and see the talent. Mingling with the members of this group really creates great discussion. The turnout was wonderful and the evening weather was perfect. Nancy Pohanic's art and sculpture was inspired by dance and movement and I was so pleased to see her work! It is sad that it will be closing. More promotion and media buzz initiated by the galleries would create a stronger presence, during a time when many will be staying in town. The Festival created a stir in Tucson with a super turnout of over 550 people! The Arizona Jazz Academy and the Mariachi Bands gave an incredible performance and the Gallery and grounds are creative and impressive, with plants, art and history. Artist DeGrazia created a legacy for all, one excellent way to pay it forward. It was a joy to see everyone and have a treasured evening of friendship and family. The cake and ice cream were tasty too!